On Thursday evening 4th October 2012, a knock on the door changed all our lives forever. Our dear beloved, Joe (14 years old), son and brother, collapsed whilst jogging within 2 minutes of our home. 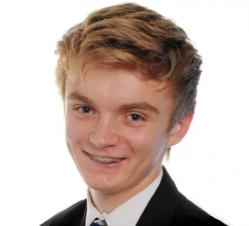 The tragedy of losing our fit, healthy, vibrant and fun loving Joe was made all the harder to bear when we found the very next day that 12 fit and healthy young people die every week across the UK, with no prior symptoms or warning. This staggering, unacceptable statistic has inspired close family members and friends to set up 'The Joe Humphries Memorial Trust so that Joe will not just become another statistic . We have to stop this now and keep his name and what he stood for, along with what he would have become alive.